Energy services company Proserv has recently been awarded three contracts worth a combined value of more than USD 2.5 million (approximately NOK 21.5 million) for decommissioning work in the Norwegian North Sea. 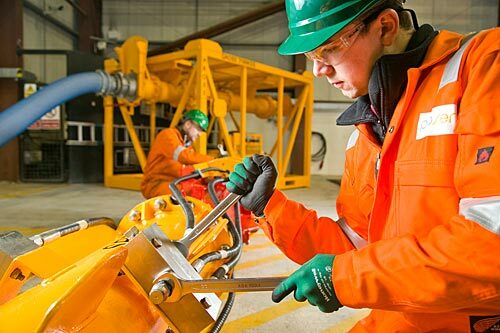 The firm’s Stavanger facility will provide cutting services as part of a full severance package covering subsea and topside work. Compared to more traditional approaches, the cutting technology solutions deployed by Proserv can save hours in well severance and plugging, which can lead to significant savings in day rates over a campaign. These awards build upon decommissioning successes for the company globally in recent months with around USD 8 million worth of work secured in Asia Pacific, the UK and Gulf of Mexico. As part of the decommissioning workscopes, Proserv will provide abrasive cutting, diamond wire cutting, grout removal and dredging services. “One of the contracts requires specialist engineered solutions to deal with non-standard sizes used in the structure. The complex installation requires a custom technology solution rather than an ‘off-the-shelf’ package and this is at the core of Proserv’s expertise,” adds Johnson. The contracts come at a time of strong investment and development with the company currently investing more than USD 2 million to develop two new Multi String Cutting (MSC) systems for well severance campaigns, to meet market demand.